Do we have a Part to play In our Salvation? What about Works: Are they necessary? Assurance of Salvation: Can We Be Sure? If the Bible has been written, it is because God was interested in delivering the good news of salvation to human beings. But what does salvation mean? The true salvation meaning is summarized in this: God so loved His Son that He wanted a bride for Him, a bride that is called by God but which will also choose to walk with Him out of love and commitment. The Bible mentions many times that salvation requires faith and belief in the Lord Jesus Christ being Himself God and the Son of God. John 3:16 – For God so loved the world that He gave His only begotten Son, that whoever believes in Him should not perish but have everlasting life. I have seen many mainstream preachers and teachers use John 3:16 to teach the concept salvation by faith alone behind the doctrine of “once saved always saved”. They don’t use the phrase “Once Saved Always Saved” frequently but they surely teach it in other ways. I once heard a “Once Saved Always Saved” preacher say “all we have to do is say yes to Jesus and He will forgive us our past, present and future sins”. By this kind of preaching, it seems we can have a one time pass into heaven by simply “accepting” Jesus and then even our future deliberate sins will be forgiven. But is this biblical? The answer is a resounding no. In this article, I will brush on some basic questions about salvation meaning and discuss them quickly. Each question is an article by itself so I will link to other relevant posts in the process if you so wish to enrich your knowledge in the gospel of our Lord. 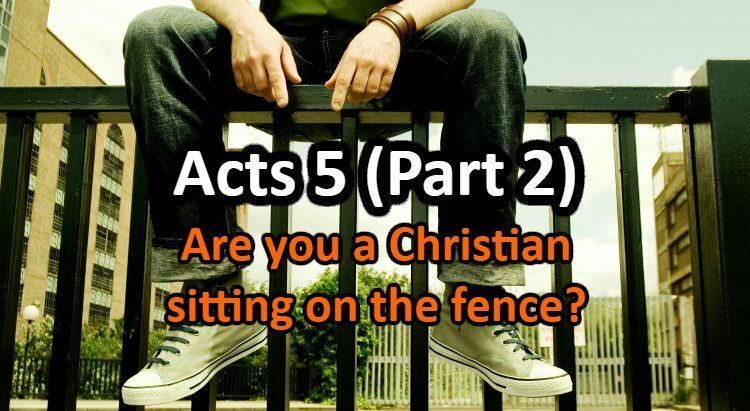 To many Christians, this may seem like a common and easy question, but it is not that obvious and it is also important. If we would ask about salvation meaning and what we’re saved from, most would answer that we are saved from hell and from eternal death which is partly true. The Bible clearly says that death is what we earn because of our sins. 1 John 3:4 also says that “whoever commits sin also commits lawlessness, and sin is lawlessness”. So sin represents rebellion in our breaking of God’s commandments which are spiritual. Since God is good and created everything good and since God will ultimately destroy everything evil, any disobedience to God is, in fact, the enemy of good and must therefore be destroyed. It is by the cleansing of the blood of Jesus shed on the cross that our sins are forgiven. Jesus Christ is the perfect sacrifice the Father has given through whom we can be saved and there is no other name under heaven by which we can be saved. If we also ask about salvation meaning, rarely believers would mention this second point which is actually spoken about everywhere in the Bible. We are not only saved from the consequences of sin but we are saved from sin itself. If you are interested in reading more about sin and what it is: click here. While many people like the idea of being saved from hell and from damnation, nobody likes the idea that Jesus Christ saves actually from our sins. He delivers us from them. That means that if we are truly saved, we should be free from sin. are we slaves to sin? do we have sin as our master? If we can’t get delivered from sin, then we are not truly saved. This is what true salvation meaning is and this is what the Bible teaches contrary to what we hear from modern day preachers . Matthew 1:21 – She will bear a son, and you shall call his name Jesus, for he will save his people from their sins. The process of salvation can be complicated to someone who never really heard the gospel. So to know what true salvation meaning is and how to be saved is to understand what the Lord Jesus came to do in His redemptive work on the cross. If you have the desire to come to Jesus Christ and accept Him, that means God is drawing you right now. Salvation by grace is at the heart of the Christian faith. It is very important to understand the concept of salvation by grace if we want to truly live the Christian faith. This concept is what makes Christianity unique among other “faiths”. It is not what we do that saves us, it is the grace and mercy of God. In other words, there is nothing that we can do right that will earn us our salvation, it is a free gift that God gives us out of His mercy. John 15:16 – You did not choose me, but I chose you and appointed you that you should go and bear fruit and that your fruit should abide, so that whatever you ask the Father in my name, he may give it to you. It is therefore important to understand that it is God’s work that draws us to come to Jesus Christ. He calls us and we answer the call and there is nothing we did that makes God calls us, He did it out of His grace and sovereign will. This goes in deep contrast with Islam and Judaism where salvation is given to those who work to ear it by obeying laws and performing works. This is not the case for the proper Christian faith and it is also completely against the true gospel of Christ as the apostle Paul has shown in his famous letter to the Galatians. 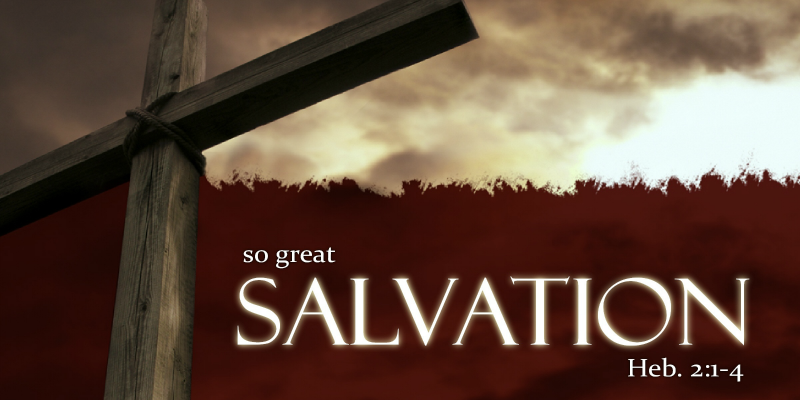 To read more about grace, visit this post: Salvation by Grace. If God is responsible for saving us and calling us into His family and if we are saved by grace through faith, where does faith fit into this process? What is the meaning of having faith? The Bible says that we are dealt the measure of faith, and also that Jesus is the author and finisher of our faith. Romans 12:3 – For I say, through the grace given unto me, to every man that is among you, not to think of himself more highly than he ought to think; but to think soberly, according as God hath dealt to every man the measure of faith. Hebrews 12:2 – Looking unto Jesus the author and finisher of our faith; who for the joy that was set before him endured the cross, despising the shame, and is set down at the right hand of the throne of God. But if God is responsible for assigning us the measure of faith and if He is the author and finisher of our faith, what is our part in the process of faith? Aren’t we the ones believing? In fact, Jesus praised the people who got healed because of their faith. In seeing this, we see that we as humans can resist the work of God if we choose to disbelieve. So we can refuse the grace of God if we choose to. This is also clear from scriptures. 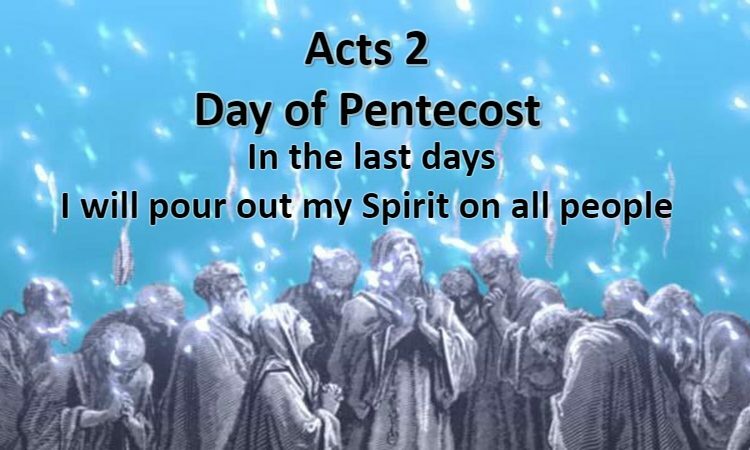 Acts 7:51 – You stiff-necked people, uncircumcised in heart and ears, you always resist the Holy Spirit. As your fathers did, so do you. Matthew 23:37 – O Jerusalem, Jerusalem, the city that kills the prophets and stones those who are sent to it! How often would I have gathered your children together as a hen gathers her brood under her wings, and you were not willing! Click this article for more information on how to be saved through faith. After understanding what true salvation meaning represents, what is our part in the process of salvation? Do we have a part to play at all? Philippians 2:12 – Therefore, my beloved, as you have always obeyed, not as in my presence only, but now much more in my absence, work out your own salvation with fear and trembling. This verse is not very popular in the Christian world of today. Yes, we are told to “work out” our own salvation. Why would Paul say that if God does all the work? This shows that, as a matter of fact, we have an essential part in our own salvation, and that we have to make our election sure. Many preachers today say it is enough to believe in Christ and by that seem to say faith is an internal thing. They are not able to put all the pieces of the puzzle together when it comes to salvation. Instead, they pick and stretch one piece of the puzzle (internal belief in Jesus Christ). However, the Bible mentions many other points and verses that are often ignored because they don’t fit with their preconceived doctrine. We see in this verse some requirements in order to enter into God’s forgiveness and grace. Repentance: By this, we recognize our fallen state of sin and death and that we have sinned and are deserving of God’s judgment. We therefore have to change our minds about sin and we have to actively turn away from sin and obey the words of the Lord Jesus Christ. God will not continue to accept us just as we were when we first believed, the hill gets steeper and we have to stay in line with God and under His authority. We are guided by the Spirit day by day for our sanctification and transformation into the image of Jesus Christ. To read more about repentance and what it means, click HERE. Baptism: This is not only a symbol of a true repentant heart, but it is for the washing off of our sins. It represents dying with Christ, being buried and rising in the newness of life by the Spirit of God. Baptism in water is not optional. Jesus Himself commanded the apostles to go and baptize people in the name of the Father, the Son and the Holy Spirit. Jesus Christ does not give suggestions, He gives commands. Holy Spirit: Receiving the Holy Spirit after baptism is something that is also not optional. 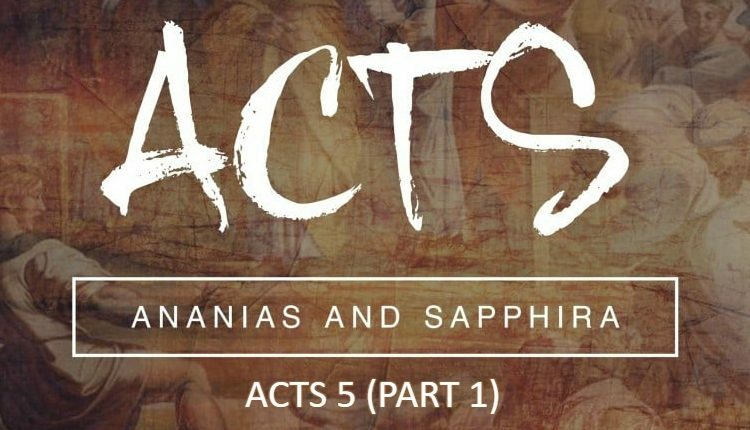 In the book of Acts, the apostles always made sure new believers received the Spirit. It gives us the guarantee of salvation. It is God’s Spirit and power inside us guiding us into the works of God. The Spirit will help regenerate us and we must stir the Spirit up to help us resist temptation and follow God’s leading. Salvation is a process. So believers in the doctrine of “Once Saved Always Saved” have to think again about these things as this false doctrine is a false doctrine that is very dangerous. I personally believe this doctrine is one of the latest modern lies from the same serpent from the garden. Be careful brothers, you have been warned! This is one major theme that divides many Christians but this is extremely important to understand. The question can be misleading because works are not needed by justification which is done by grace alone through faith in Christ. However, walking in the good works of God that He prepared for us is very necessary to be fruitful to advance the kingdom of God. To understand this, it is important to read THIS ARTICLE to know the difference between works of the Law and Good works. Now that we know the true salvation meaning, now that we are saved by grace through faith, can we be sure that we are saved? The short answer is yes. God the Father wants us to be sure that we are His children. He wants us to live in His peace and joy in the hope of salvation. There are many verses in the New Testament comforting believers and exhorting them to be assured of their salvation. To know more about how we can be sure of our salvation, visit this post: Assurance of Salvation. In the meantime let us look at this passage in Ephesians 1. Ephesians 1:13-14 – In Him you also trusted, after you heard the word of truth, the gospel of your salvation; in whom also, having believed, you were sealed with the Holy Spirit of promise, [which] is the guarantee of our inheritance until the redemption of the purchased possession, to the praise of His glory. Paul made sure to use the right words when writing about the sure hope of salvation. He said that the Holy Spirit is a guarantee, or down payment, on our inheritance of salvation. Now many “Once Saved Always Saved” proponents want to take this as meaning that one will never lose their salvation even if they go back to living in deliberate sin. Unfortunately, this is not what the Bible teaches. A good analogy is one of a home buyer who puts a down payment on a house. I am sure that he would be incorrect in thinking that the down payment was enough to purchase the house. A down payment is to hold and preserve the item until the owner comes back to sign the contract and complete the purchase. Nothing we could do would ever earn it or pay for it. It is by the grace of God only that we can receive this free gift. God gives us the Holy Spirit as a down payment and demands that we don’t vandalize our new home that we should maintain. Believing in Christ is not mere thoughts and feelings, it is a faith lived out and seen in actions, it is keeping and preserving the gift. Simply believing in our hearts is not enough. Salvation is a process that demands a surrendering of self, endurance and a lifelong commitment to Jesus Christ and His commandments. But during our walk, God encourages us and assures us that as long as we are walking with Him, as long as we are holding His hand, He will get us there. If we stumble, He will help us up, He will forgive us our sins if we happen to sin and fall. This is as long as we don’t turn away from Him deliberately and go walk in sin. Most of Christianity’s preachers today will say that once we are saved, once we are born again, that’s it. There is nothing that can be done that will make us lose our salvation. That is even if we go back and live in deliberate sin. These preachers choose to deliberately ignore a large part of the scriptures. 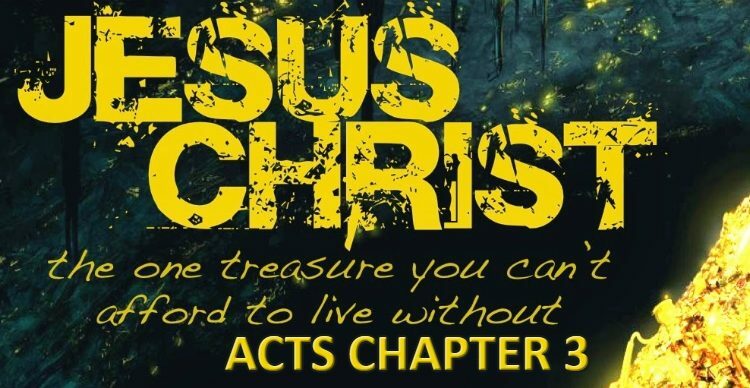 Yes we are saved only by the grace of God, and yes the grace of God is a free gift but receiving this gift requires that we keep ourselves in the love of God, that we mortify our members and to allow the Holy Spirit to sanctify us. We cannot take the temple of God for which He made a down payment and then go play in the mud. God wants to teach us His ways and desires for us to follow His instructions in Holiness with a genuine love for Him and with a serious heart. Loving God means also to obey His commandments as Jesus Himself said in John 14:15. Matthew 10:22 – And you will be hated by all for My name’s sake. But he who endures to the end will be saved. Mainstream Christianity likes to think that repentance and endurance are optional. These are only to get extra points and rewards in heaven. However, many passages in the New Testament teach us that we must endure until the end to be saved. That salvation is not a one time moment where God saves us so that we go back and live however we want. We are new creatures adopted as sons of God and guided by His Spirit. Those who are led by the Spirit of God, they are the sons of God (Romans 8:14). Unfortunately, dear friend, the Bible does not teach “Once Saved Always Saved”. It actually teaches that we have to endure while walking with the Lord until the end. It teaches that if we don’t take heed we can fall (1 Corinthians 10:12) and we can indeed lose our salvation. Yes, this can be a shock but it is the truth and I owe you the truth if I want you to be saved. God is not going to make it easier for us because we are born after Christ came. The good news is that we can get help from the Holy Spirit. This is the New Covenant. But “what about sin?” you may ask. Jesus Christ said that a sinner is a slave of sin, He said that when the Son sets us free, we will be free and FREE INDEED. So it takes endurance to keep the faith after God saves us by His grace. We cannot go back to a deliberate lifestyle of sin and expect God to come fetch us to heaven. The one who has an ear will hear this. God is not a formula, He is a holy God. It is not a matter of perfection but it is a matter of mindset, God is not mocked and knows what is in our hearts. If we live by the Spirit, we will hate sin. That doesn’t mean we won’t fall, we won’t be perfect as long as we are in this body. But it means that we will not sin wilfully, sin won’t be our master, we won’t continue living in a lifestyle of sin. God tells us in Hebrews 10:26 that “if we sin willfully after we have received the knowledge of the truth, there no longer remains a sacrifice for sins.” If we come to the knowledge of the truth, dear friend, and if we continue sinning deliberately, then we are in great danger of losing our salvation. Don’t risk it my friend. We can try to twist these verses as much as we want but these verses will not go away and are there for a reason. Are we accepting the whole of God’s Word or are we just picking the part that suits our preconceived and learned doctrines? It is our responsibility to make sure we are not being fed lies. Jesus spoke about blind leaders of the blind, we have to be careful not to be blindly led by other blind leaders. That is why we have to read the Word of God for ourselves. Make sure you are walking with Christ dear friend. It is a beautiful walk but it is not an easy walk!